Kaelin. You may know Kaelin from her awesome blog The Plaid Scottie. She is the bomb diggity. For many reasons really. The top 2? Do you know why I love Kaelin for posting this photo??? Guess. 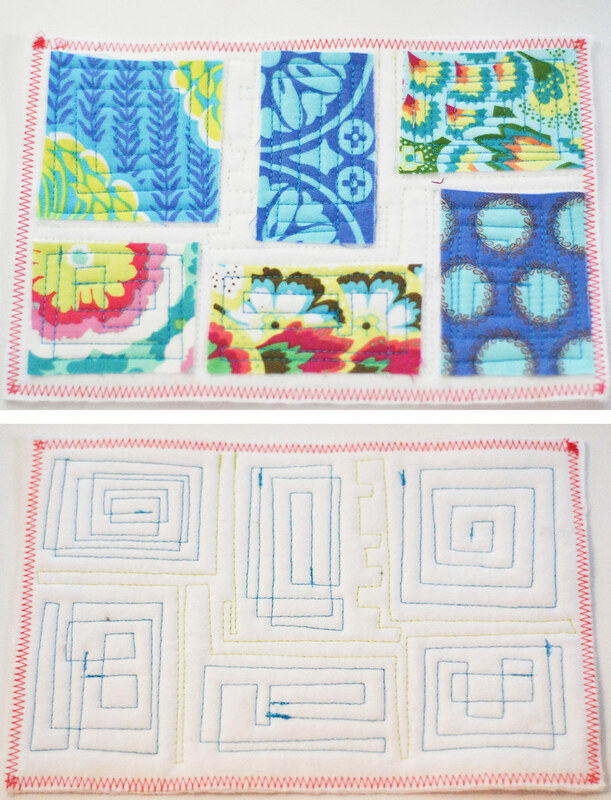 That photo brought my one true sewing love back to me - the zig zag stitch. 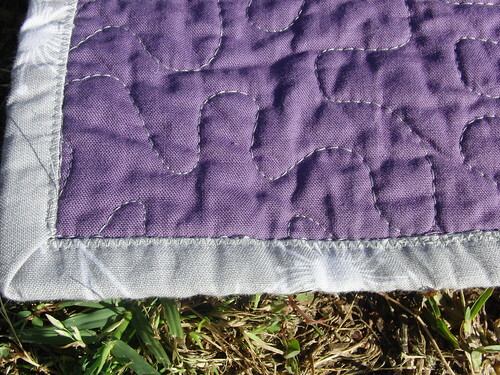 I adore the zig zag stitch. It can do no wrong in my eyes. And I had FORGOTTEN about it!! Ziggy zag and I go way back. I used it to bind and quilt a little MMM project a few months ago. And then I used it INSTEAD of binding on a mug rug. And then, somehow, it slipped my mind! I don't even know how that it possible. But Kaelin, dear, dear Kaelin, brought my ziggy zag back. 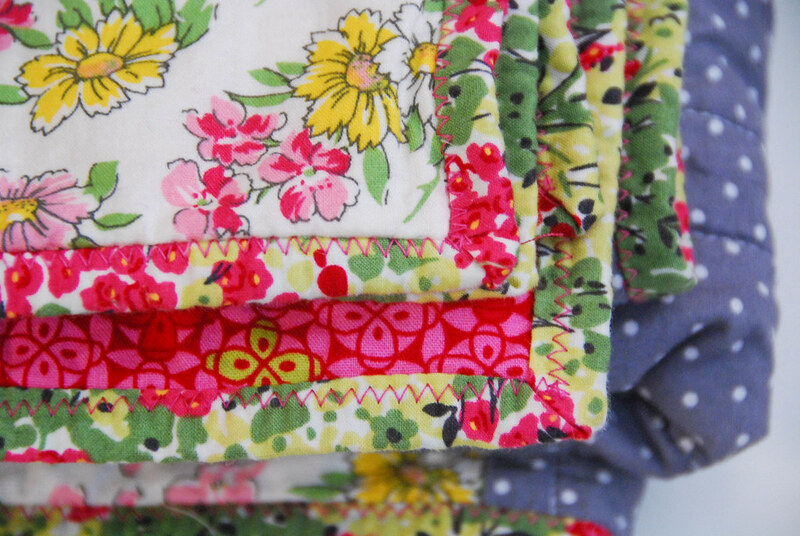 And since then I have finished some quilts that were languishing on my couch, waiting for me to bind them. Ziggy Zag - I will never forget you again. 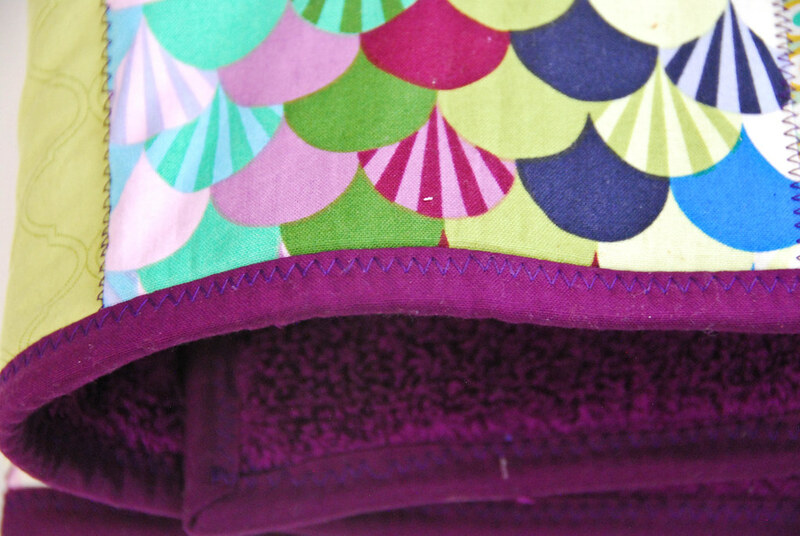 You will always hold a special place on my quilts. Oh Ali thank you thank you thank you - you've just shown me that others do machine stitch there binding!! !! Ali- we should get together sometime to sew! I'd love to see how you made your mug rug- it's SO cute! Are you coming to craft night Friday @ Hipstitch?